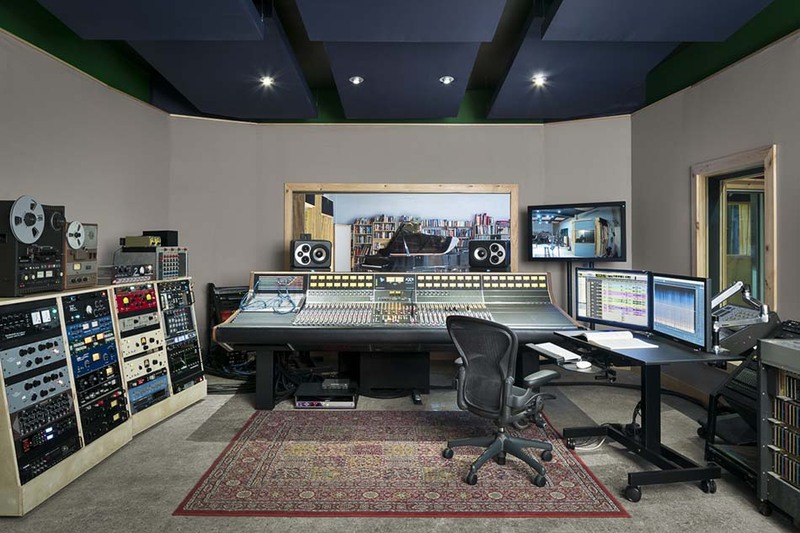 NOVEMBER 2018; MOUNT VERNON, NY: Oktaven Audio in Mount Vernon, New York recently installed a 48 channel API AXS Console in its Control Room A space. Co-owned by Jessica Slaven and Ryan Streber, Oktaven Audio specializes in classical, jazz, and acoustic recording. The AXS sale was completed with the expert assistance of Vintage King's Jason Cropper. "Since we commissioned our new Legacy AXS at the beginning of September, we’ve had sessions nearly every day with a broad range of clients," says Ryan Streber. "Whatever we throw at it sounds great, and it’s a ton of fun to use."